The beauty of Mother Nature is a balm. It’s completely the opposite of magnificent skylines and urban landscapes. While man-made wonders astonish one’s mind on man’s limitless creativity, Nature soothes the human spirit. 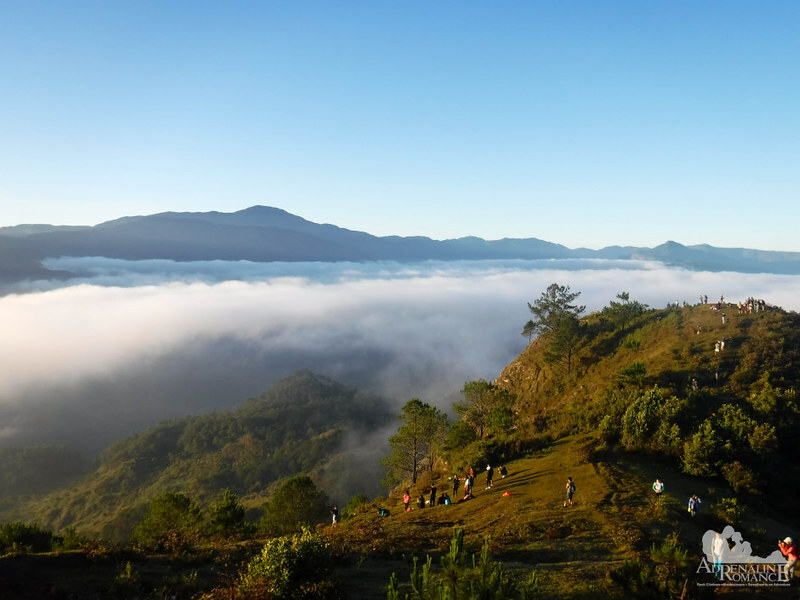 The longing to reset ourselves from the complications of life is one of the reasons why we included an early-morning visit to Marlboro Country in Sagada, Mountain Province in our itinerary. You know us—we love hiking. 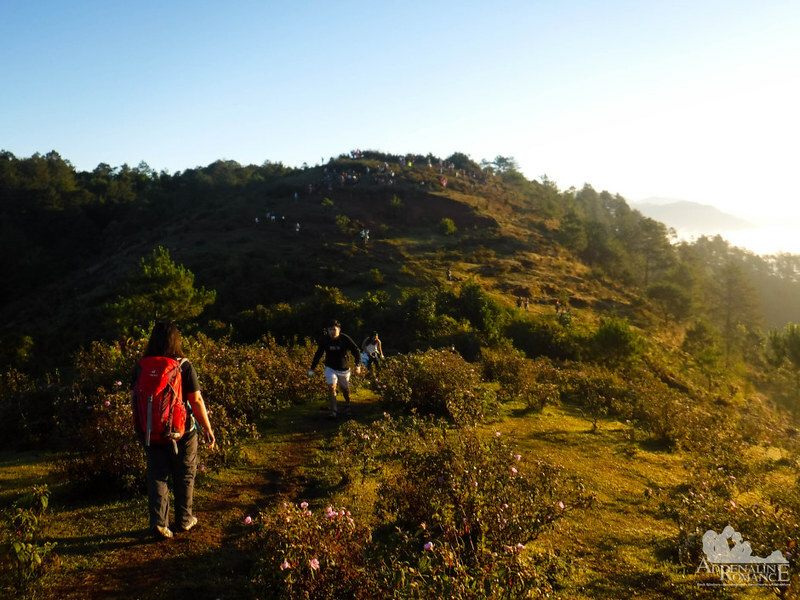 In fact, we want to hike all the way from Sagada town to Marlboro Country. 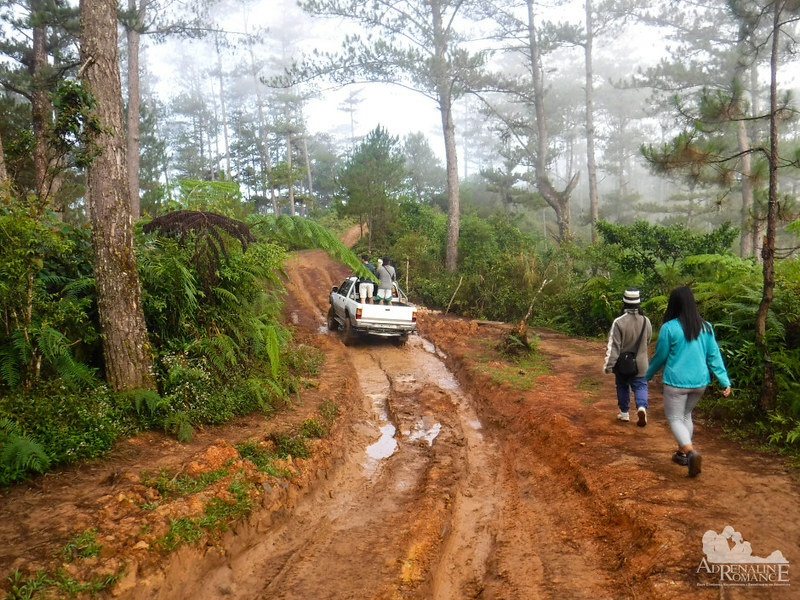 But the owner of our homestay said it’s a 30 to 40-minute ride from the Poblacion to the jump-off point. 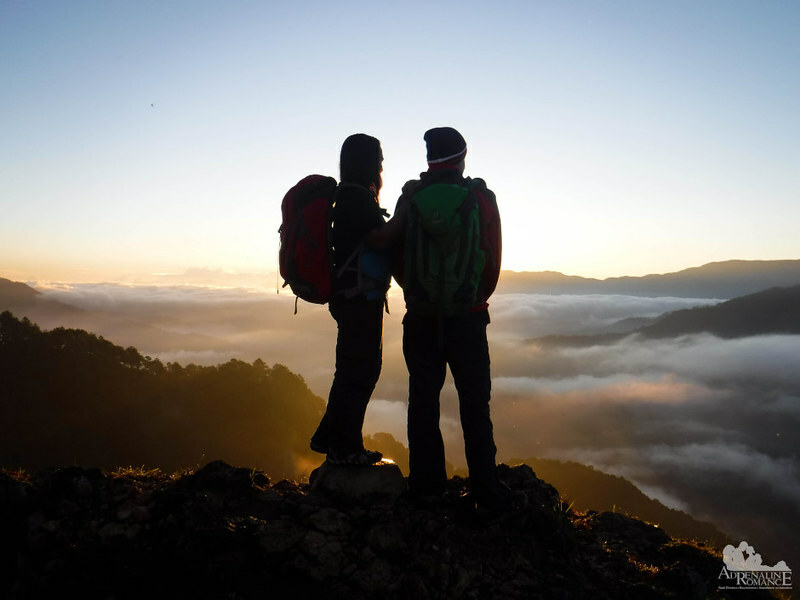 We estimate that would take us around 2 hours of hiking, which increases the chances of us missing the sunrise. “Locals know best,” they say. Thus, we chose her recommended but more expensive option—hire a shuttle. We showered early, dressed in our cold-weather gear, grabbed our Deuter packs, and met our guide and driver. At 4 AM, we were on our way to the jump-off point of Marlboro Country. The drive took just a little over 15 minutes. Tip: After the adventure, we realized that we could actually hike the entire distance in two hours or less. Thus, to save money, we recommend leaving your domicile early at 3 AM and walk your way to the summit. Aided by the cold weather, the short hike to the summit was very easy. In fact, with a well-established trail, it only took us less than an hour to reach it. By then, there were already a few people on the summit. To escape the coming throng, our guide led us farther down to a hill just below the summit. Perfect timing! The sun hasn’t risen yet, but the orange glow that precedes our life-giving star already peeked above the distant horizon. Best of all, there was an ethereal sea of clouds phenomenon above the valley below us. This is the closest thing we can get to walking on the clouds! A few moments later, the sun itself rose above the clouds. As usual, a sunrise re-energizes us, making us ready to fulfill the challenges that lay ahead. Trivia: Do you know that basking in the morning sun induces your body to produce Vitamin D? Vitamin D has an important role in regulating your body’s metabolism and calcium absorption. What an incredibly stunning sight with a moving ocean of clouds just beneath us! But we had to take extreme care. We were standing on a promontory with a huge drop-off on three sides. But with an almost unreal beauty in front of us, that snippet of danger is sometimes forgotten. Some of the most captivating places for introspection and self-realization don’t require a massive hike to reach. It’s the same with life. You see, we are the only creatures on earth who needlessly complicate things just to appreciate what is already given to us. And we have become so arrogant and dependent on our self-made complications. We need to humble down, relearn the value of respect, recognize our impermanence, and spiritually reorient our place in this world. Sweetie and I don’t need fancy dinners, expensive cars, glittering jewelry, luxuries, or lots of money to enjoy life. Sure, these little extras in life are nice, but they’re just bonuses. Just being with each other and our daughter Alexa is enough to make our lives worthwhile. For us, love, togetherness, experiences, and opportunities to play in Mother Nature’s playgrounds are what makes people rich. A momentary parting of clouds revealed a rocky cliff that is visible from where we’re standing. Judging from the composition, the cliff seems granitic in nature. Considering that this is in the middle of Luzon and far away from the sea, it could very well be granite. A few cows, probably from a nearby yet unseen farm, curiously eyed us but kept a safe distance from Alexa as she invaded their grazing grounds. Wild shrubs and bushes grew all around Marlboro Country in large, thick, and condensed patches. 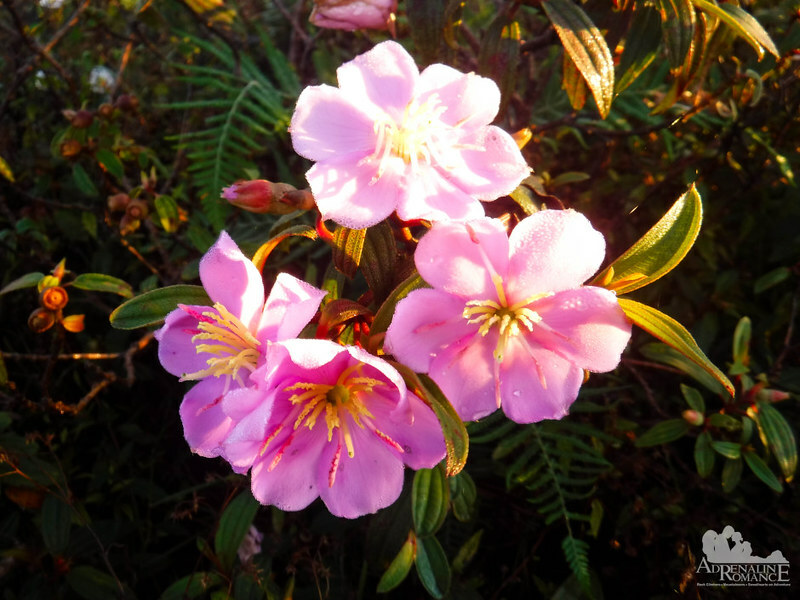 Wet with morning due, pink wild flowers slowly opened to welcome the sun’s rays. Flowers are biologically important to the ecosystem. They remove toxins and carbon dioxide, feed insects, and help plant reproduction by enticing pollinators such as bees and hummingbirds to carry their spores and pollen. Many flowers have medicinal value. Our ancestors used to crush their petals and infuse them in their teas as laxatives, detoxifying agents, and inflammation reducers. More and more people appeared on the summit. It was time to leave Marlboro Country and share her beauty with others who find solace and beauty in Nature’s spectacles. Besides, the magic disappears when a sea of people overwhelms the serenity of Nature. There is a special charm in Marlboro Country. We hope that the LGU implements measures to protect this place. Already, we could see the evidence of irresponsible human encroachment—litter, damaged trails, burnt grass from erroneously established campfires, and noise. “Come to where the flavor is. Come to Marlboro country.” So goes the cigarette ad. But no, the place isn’t named because there are cowboys or everyone smokes Marlboro here. Rather, it is colloquially named so for its scenic, pine-tree studded landscape similar to those seen in old Marlboro commercials. Whatever its real name is, this place is stunningly beautiful. It is this beauty that reawakens your connection with Mother Nature. Update: Thanks to reader Nkkavla and a bit of research, the local name for this place is Kamanbaneng Peak. 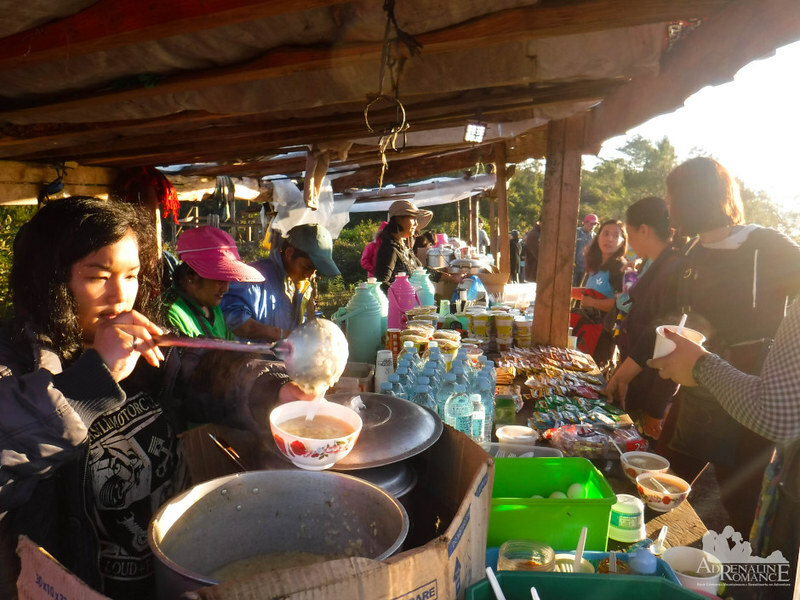 Mornings in Marlboro Country can be incredibly chilly, so locals erect stores that offer steaming lugaw, hot coffee, freshly boiled eggs, and more to warm up cold, shivering bodies. This is very similar to the “7/11s” in Mt. Maculot. Although we understand that this is just a way for locals to earn a living, we discourage this. For one thing, these pop-up stores offer an excessive level of convenience for hikers, which totally eradicates the sense and purpose of solemnity. Worse, these stores attract the wrong kind of people who destroy the landscape, throw away trash carelessly, and spoil the spiritual experience that is supposed to be learned and enjoyed here. Not all travelers have two legs. 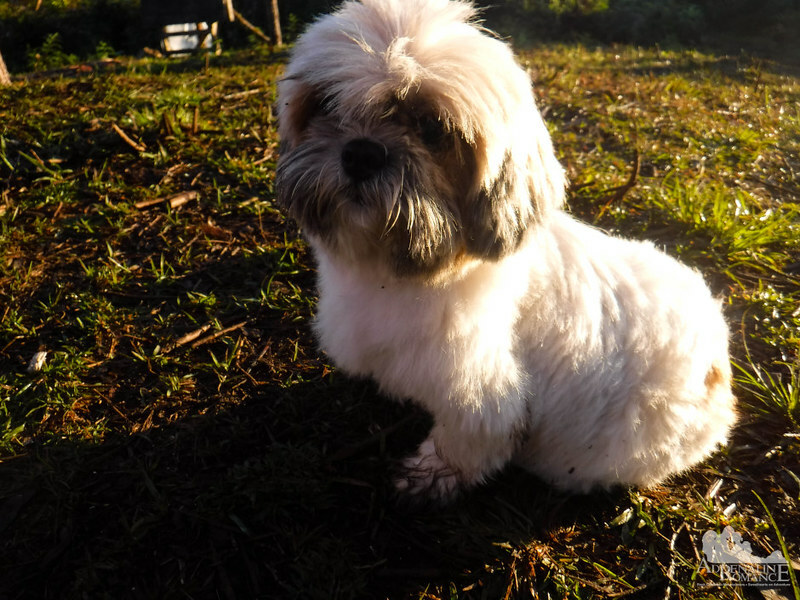 Some of them have four and are covered with fur. This cutie contemplates her life as a dog while waiting for her mommy. A large crowd gathered on the summit, prompting us to start walking back to the jump-off point. With the sky basked in the morning light, we could now see the landscape that surround the trail. Pines and thick flowering shrubs adorn the landscape. The cloud bank rose higher and moved closer to Marlboro Country, filtering the sunbeams and giving the morning a nice, gentle afterglow. 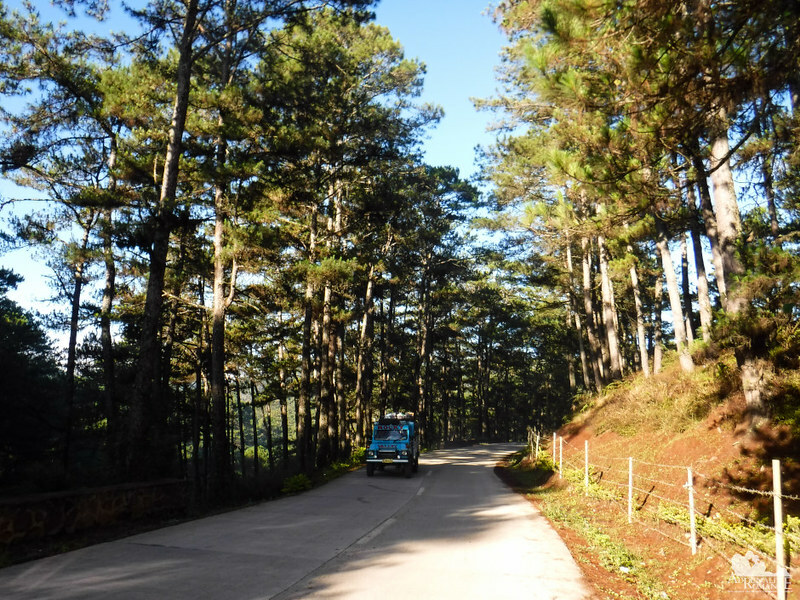 Huge, tall, and proud pine trees provide cool, fresh air all around the Cordillera Administrative Region. Walking below them was bliss; they gave off a fresh, fragrant scent. We know that their wood is incredibly useful, but we hope that loggers won’t abuse the thick pine forests of the region. About 50 percent of the trail to Marlboro Country is wide enough for vehicles to pass through — wide enough to be considered as a dirt road. However, during rainy days, the dirt road becomes extremely muddy, rendering it difficult or even impassable for most types of vehicles. The solution? Walk on it! Your feet can carry you to more places than any vehicle! 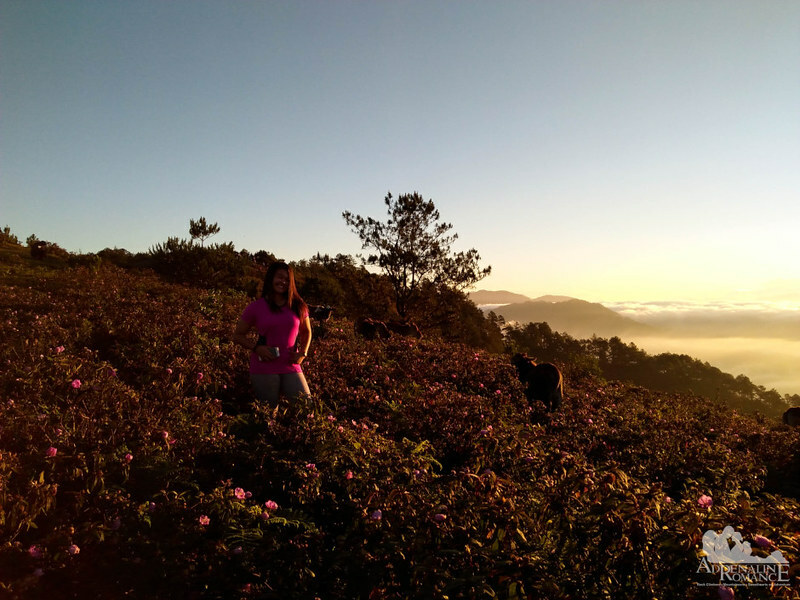 Upon reaching the jump-off, we decided to walk all the way back to Sagada, stopping over the Misty Lodge and Cafe for a delicious breakfast and checking out some flowers by the roadside. Sans the huge gathering crowd, there is no doubt that Marlboro Country is a place where people can reset themselves even for a moment. For all the complications we need in order to live in a contemporary society, it is definitely refreshing to indulge ourselves and bask in Nature’s beauty. * Rates are subject to change without further notice. We did not include expenses for food, accommodations, souvenirs, etc. as you may have different preferences and sharing schemes than us. 1. Be sure to register at the Tourism Office. You can also book your guide here. 2. To save money, we recommend not taking the shuttle. You can simply hike from the place you are staying to the jump-off point. 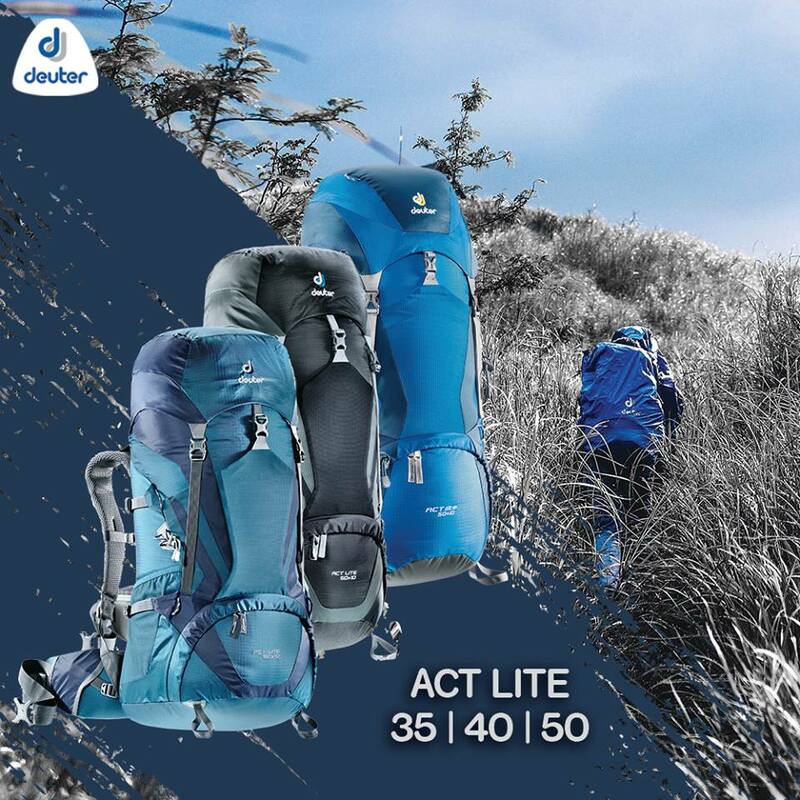 Let your guide know that you prefer to hike. Surprisingly, many local guides long for a hike rather than a ride. 3. 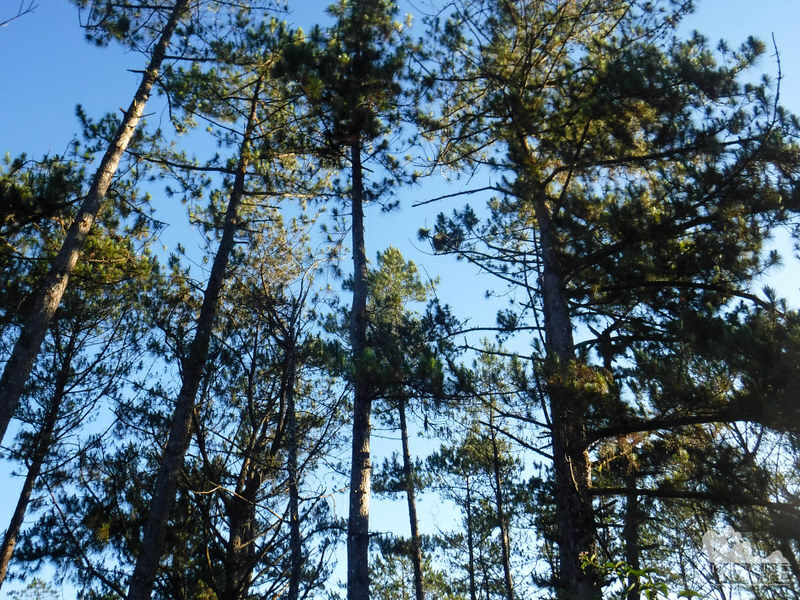 If you have time, continue your hike to Blue Soil after visiting Marlboro Country. As its name implies, it’s a place with blue soil. There’s a separate rate for this; inquire at the Tourism Office. 4. The hike is quite easy; toddlers to grandparents can actually do this. 6. Do not litter, vandalize, or deface the place. Observe Leave No Trace principles and respect Nature. Disclosure: Affiliate links are present in this blog post. Every time you make a purchase through these links, we earn a small commission. We only recommend high-quality products that we use. The money we earn is used for the maintenance of Adrenaline Romance. Thank you! wow. what a beauty! when I went to Sagada in 2015 I wasn’t able to visit Marlboro. Probably on my next visit, will make sure that I’m visiting this amazing nature. Regarding your question, yes, you can walk from Residential Lodge to the jumpoff. If we recall correctly, RL is in Dagdag which is relatively closer to the jumpoff from our homestay in Ambading. However, let your guide know that you prefer to walk so you can start the trek early. * Bomok-od Falls tends to get crowded even early in the morning. We believe it’s best to consult with the tourism office there to help you with your itinerary. We also suggest you set two days so you can visit all those sites. Wow, great blog! I have a question. 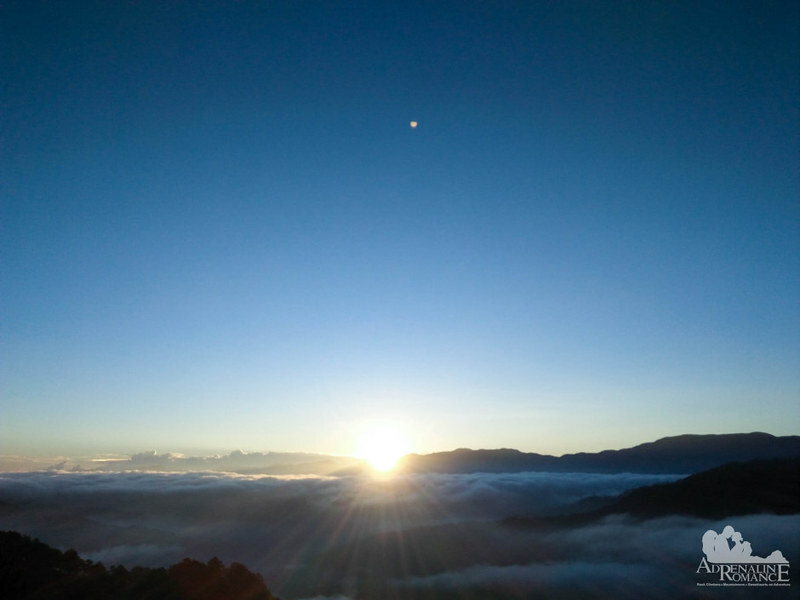 If you have to hike from Sagada to Marlboro, what is the best time to leave the place so we don’t miss the sunrise? It depends on where you’re staying. If you’re staying at the town proper, it would take you an hour or so to reach the jump-off point and perhaps another hour to reach the summit. 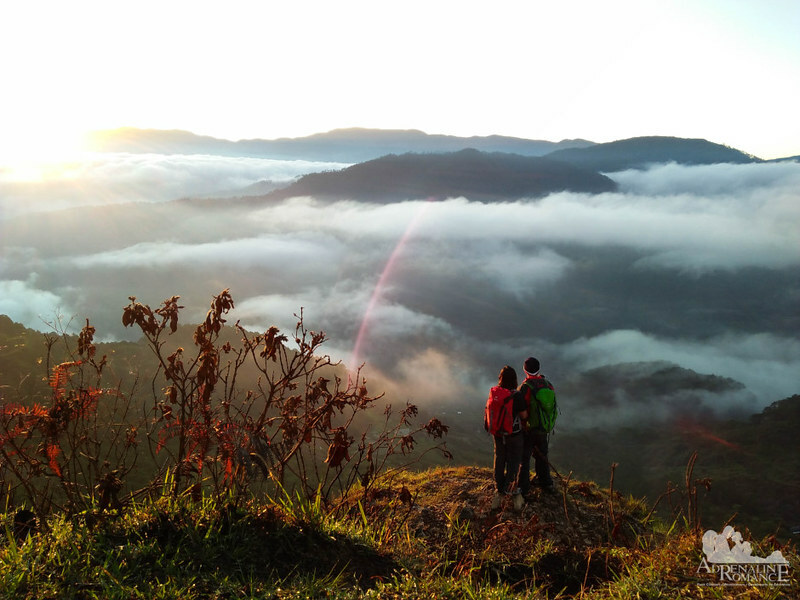 This is the first time I am hearing about Kamanbaneng Peak and it seems like an awesome hiking place, Gian and Sheila. Thank you for bringing this place closer and inspiring me to add it to my bucket list! When’s the best time of the year to explore it? The view of the sunrise with the clouds just below is a photo I have always wanted to capture! Such a beautiful area to explore and cherish. We always enjoy reading your posts. Keep the beauty coming. The sunrise here indeed is beautiful. As long as the LGU does its work, I think this place will sustain its beauty. Pictures of the sunrise are magical. I would also like to be there and admire the beautiful landscapes from above. Beautiful place. Delicious food? In that case, I’m going there! I love to try new flavors when I’m on the go. This allows you to get to know places that visit even better. Really delicious indeed! In fact, after experiencing the food and the cool weather, Alexa asked if we could actually somewhere in the Cordilleras. Hahaha! This hike looks insane! Nothing cooler than getting to the top and seeing that you’re above the clouds. The photos of the skies, the sunset, the mountains and even the dirt tracks through the forest are spectacular. I can even smell fresh air through the pictures. What a great place Marlboro Country seems to be! Very beautiful indeed. 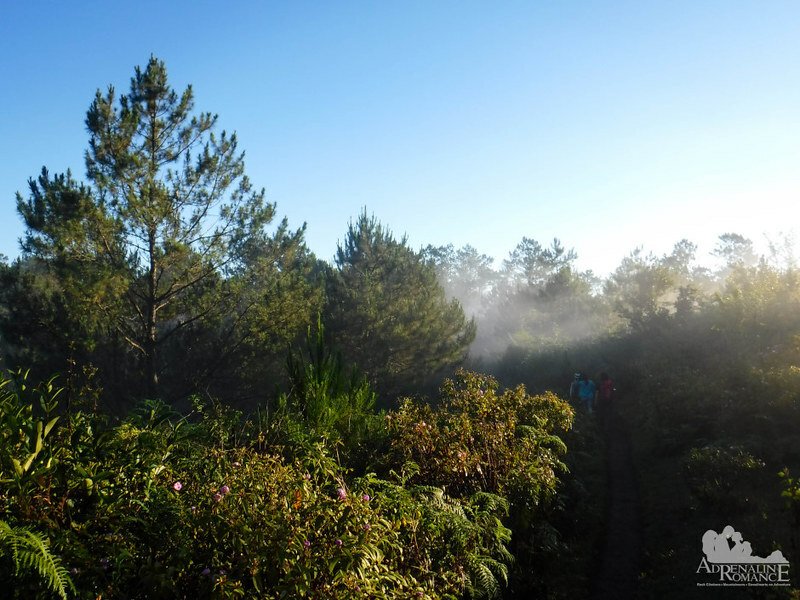 The Cordillera region has a different feel to it against the rest of the Philippines. Actually, this is a very easy hike. In fact, your most difficult challenge would probably be waking up early in the morning so you can catch the sunrise. Hahahaha! Yes, Marlboro Country is beautiful, but I do hope it stays that way. Mass tourism has started to creep in. 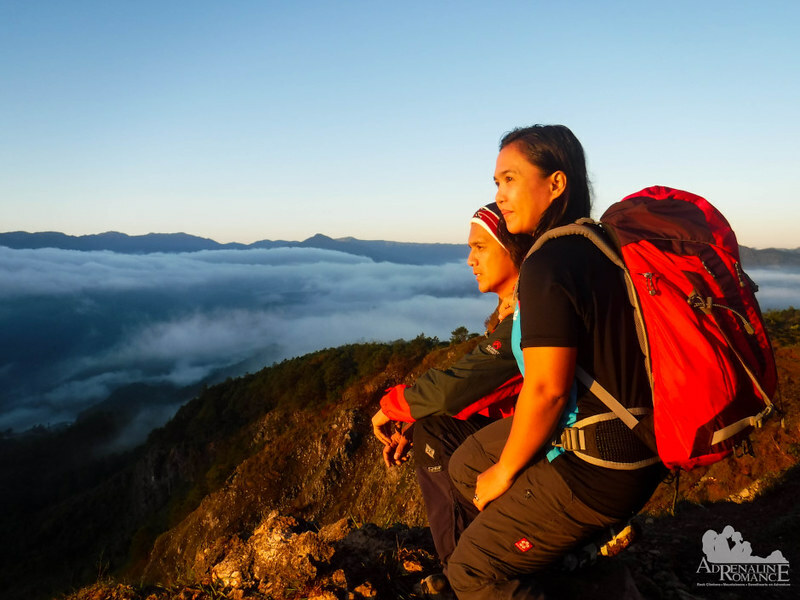 It’s understandable, but the LGU should now work to protect its beauty. 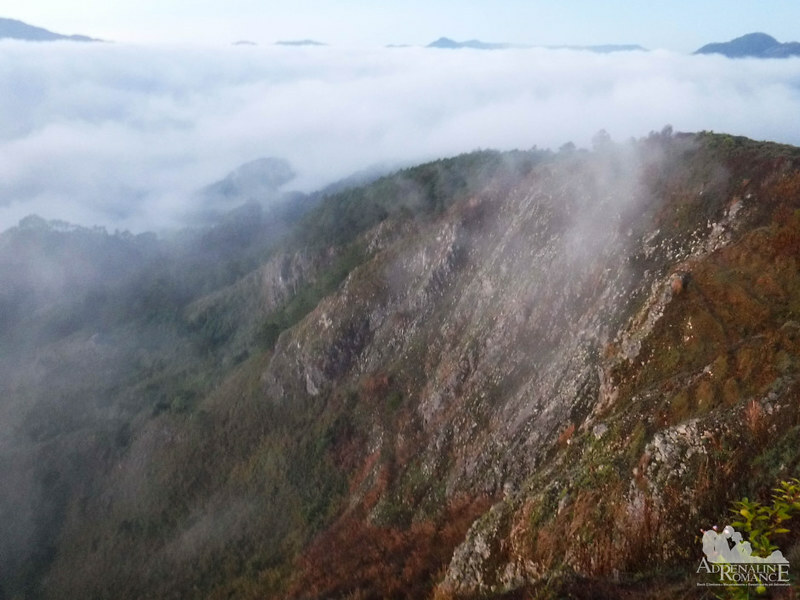 Hiking the Marlboro Country and exploring its soothing nature is something I would love to do. Thanks for sharing the details. This looks amazing. I’m visiting Philippines at the end of the year. I haven’t actually come across visiting this as something to do. Love the tips you provided very helpful. No feeling is as amazing as the time when you are above the clouds. The world looks like a different place. This blog post and pics are lovely. Marlboro Country looks scenic and very beautiful. Hiking with natural landscapes in this countryside is very scenic and I would surely to do. 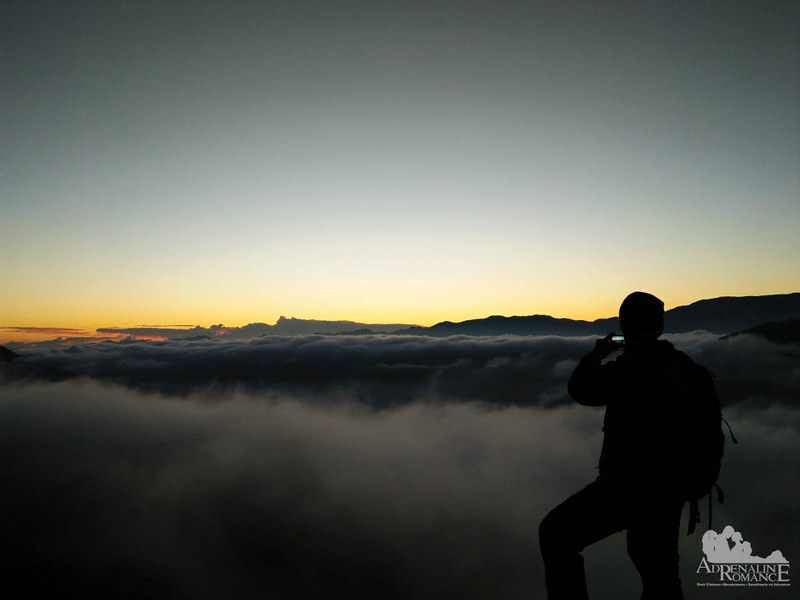 I’m always fascinated by your determination to wake up at 3AM and trek in the darkness to reach the summit to view the sunrise from there. Just fascinated!!! When in the outdoors, we often wake up early so that we could watch the sunrise. A small “sacrifice” to pay to see one of Mother Nature’s wonders. Wooow! Awesome blog 😊 planning to go here this November. By the way po, nag rent po kayo ng bahay sa sagada? How much po? Thank you in advance. Thank you for the compliment about our blog. 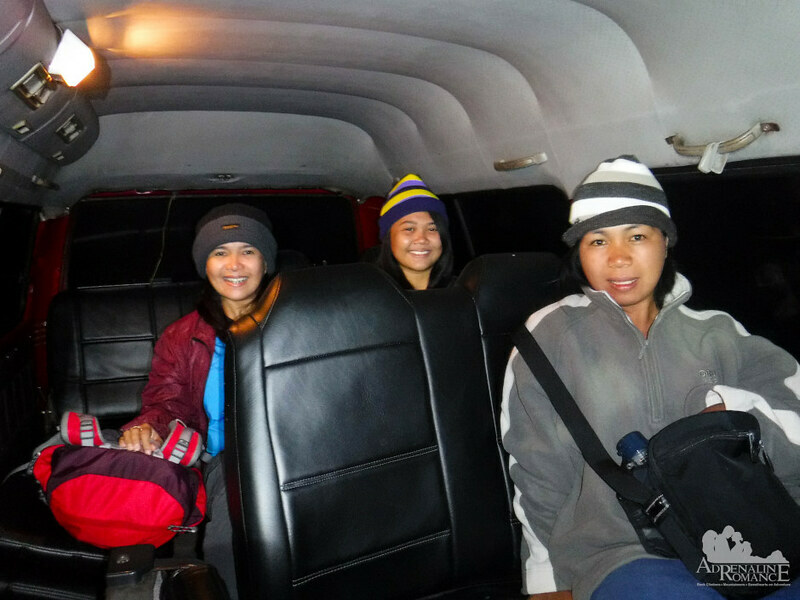 Regarding your question, yes, we stayed in a homestay in Sagada. The name of the place is Rios & Ruzys Sagada Inn. We booked it via Airbnb. Rate is 450+ per head per night. Unfortunately, no. The homestay where we stayed assigned that guide to us. However, don’t worry. The accommodations that you book usually have a recommended guide for you.